Accra, Jan 31, GNA -A number of officials and two local components of the senior national team, the Black Stars are expected to depart Accra for Holland on Monday, February 7, to engage in an international friendly match against Ajax Amsterdam. The match, which is scheduled for Wednesday, February 9, is to give new Black Stars coach, Ratomir Dujkovic the opportunity to assess the foreign-based players plying their trade in Europe, hence the team will be made up of mainly foreign based players. 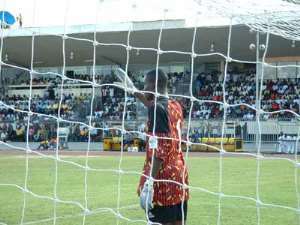 The only two local players are goalkeepers, George Owu of Kumasi Asante Kotoko and back to batan, Sammy Adjei of Accra Hearts of Oak will be part of the playing body, whilst the technical team headed by coach Dujkovic with his three assistants and other officials of the team will be on the flight to Holland. The Stars are scheduled to play Democratic Republic of Congo in March in their second round match of the World Cup qualifying series. Information gathered by the GNA Sports from the secretariat of the Ghana Football Association, (GFA) indicates that the new coach will be stretching his tentacles wide in connection with the invitation of the foreign-based players. According to the information, coach Dujkovic is expecting at least 20 foreign-based players to embark on an observation exercise in his bid to have a fair assessment of the players for the task ahead. Among the players expected to make up the squad are Laryea Kingston, Sulley Muntari, Stephen Appiah, Asamoah Gyan, Samuel Osei Kuffour, John Mensah, Addoquaye Pappoe, Mathew Amoah, Derek Boateng, Ishmeal Addo and John Painstil.